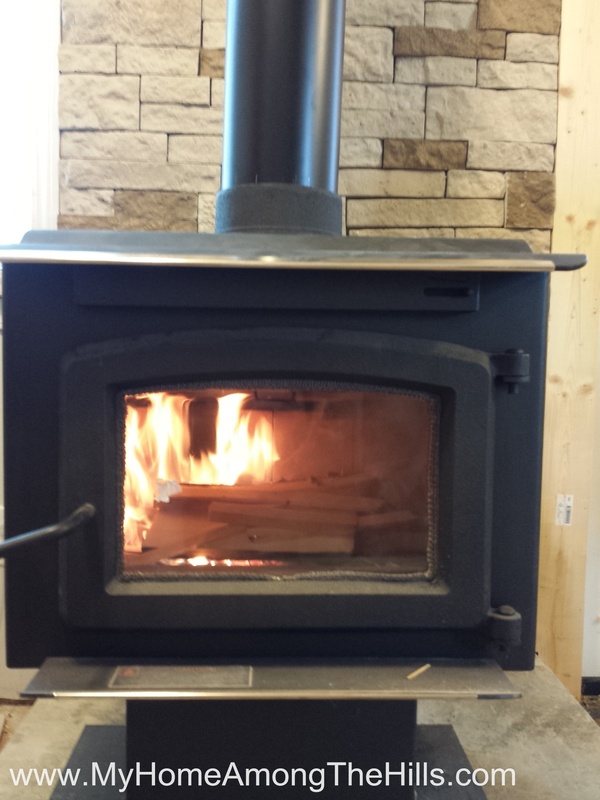 As with all things we do, our project to install our woodstove at the executive deer stand has gone slowly. About a year ago, some friends helped me cut a hole in our perfectly good roof and feed a stovepipe through it. Emily thinks we stalled like that for a year, but I prefer to think of that year as all-season, extreme weather testing. Finally, in the last few weeks, we found a little room to breathe in our schedule and finished actually attaching the stove to the well-tested stovepipe! Anyhow, we fired up the stove with the first fire and it was glorious! Although it was an unseasonable 70 degrees, it will still absolutely wonderful to enjoy its heat. I was a little ridiculous, but I bet I ran back and forth outside ten times watching for smoke in the chimney…I just wanted to see it work! Of course, it was a good fire so didn’t produce much smoke which was good and bad I guess. And what will we burn in this stove you ask? We just happened to have to cut down a few trees at our house. The lumberjacks left the tree cut up in sections, but unsplit on the ground where it dropped. 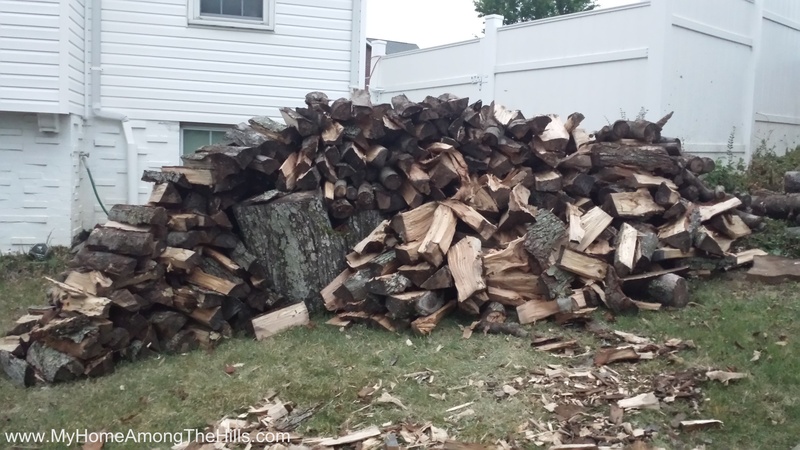 All together, I think we had wood from 4 or 5 trees. 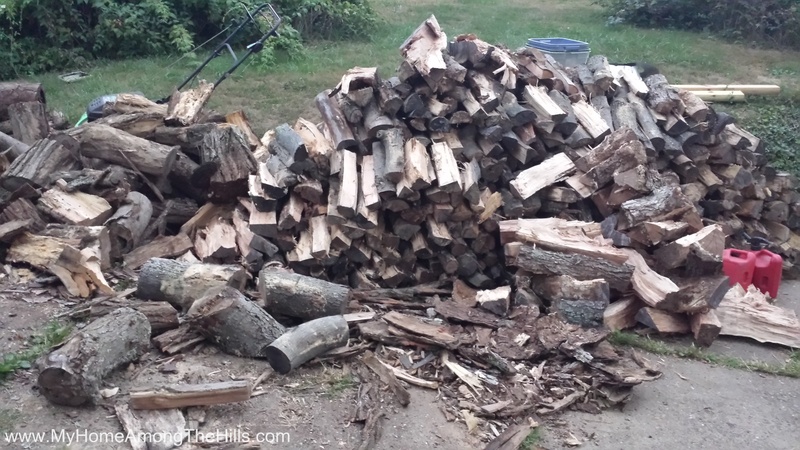 We burned a bunch in the firepit but still have a really good pile of wood….or actually, several really good piles. So, now we can let it snow and blow. Assuming we can get near the cabin, we can be plenty warm! Executive deer stand looking good! Nice stove. Did you roast the beetles and eat them? Looks like a good fire to me. Those beetles are far too cool to eat. 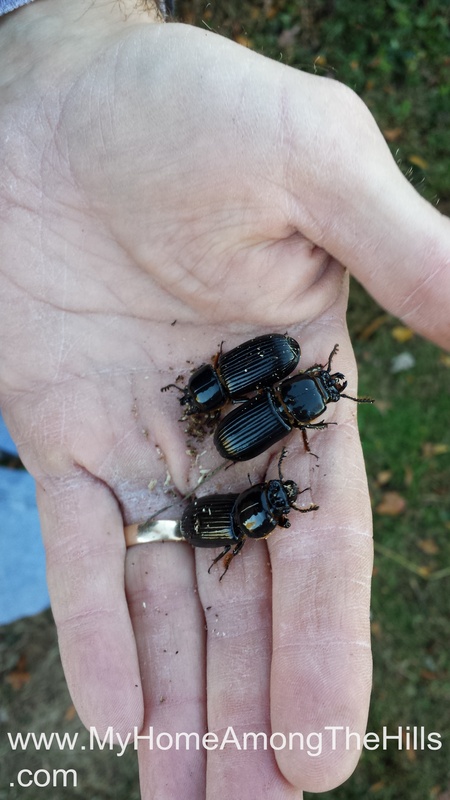 I love finding them and wish I was inclined to keeping bug habitats as I would love to look at them often…maybe I’ll always keep a woodpile as I am sure they will be there! I’m with you. 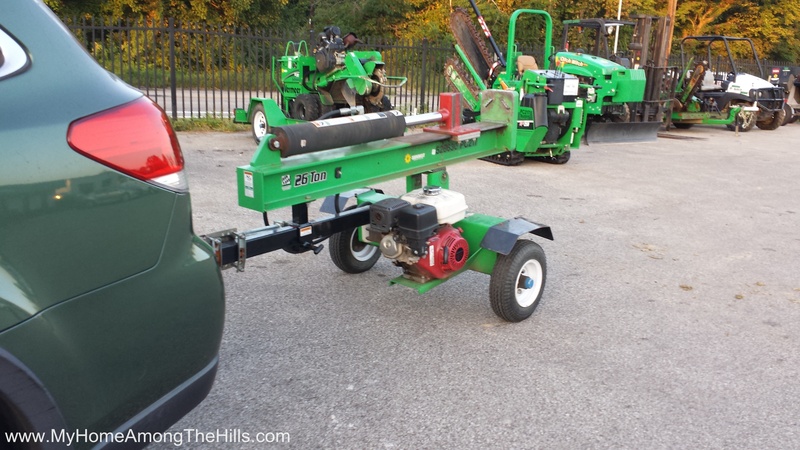 I would love to buy a wood splitter but just can’t justify it since they are so darn cheap to rent for a day. I also don’t need to add onto my garage to make a place to store it. It’s amazing how slowly some projects can go… and then( *suddenly*) you see your plans and hard work pay off! Congratulations, Pattersons!